(NAPSI)—Just as you need clean air to breathe, so does your car. The vehicle’s air filters are what make that possible. 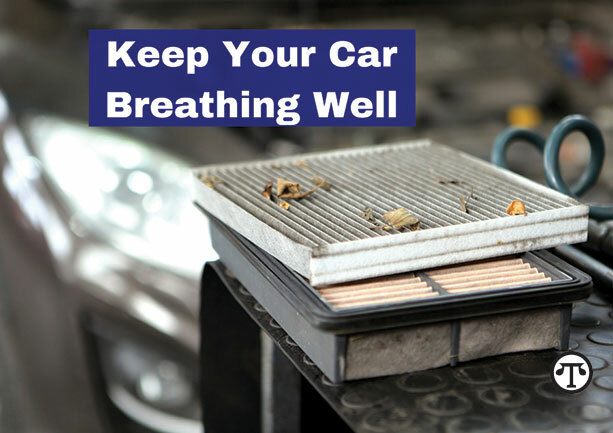 To help them keep doing that and ensure vehicle longevity and interior comfort, car owners should have the engine and cabin air filters inspected and changed regularly. The vehicle’s engine air filter traps dirt particles that can cause damage to engine cylinders, cylinder walls, pistons, piston rings and bearings, leading to the engine losing power. The air filter also plays a critical role in keeping pollutants from contaminating the airflow sensor on fuel-injected cars. A normal-wear item that requires regular checks and replacement, air filters should be inspected at each oil change and replaced annually or when showing other signs of contamination. The cabin air filter is responsible for cleaning the air entering the passenger compartment. Under normal circumstances, it helps trap pollen, bacteria, dust and exhaust gases that may find their way into a vehicle’s heating, ventilation and air-conditioning (HVAC) system, compromising interior air quality and damaging the system. Most cabin air filters are accessed through the panel in the HVAC housing, which may be under the hood or placed within the interior of the vehicle. A cabin air filter should not be cleaned and reinstalled. Instead, it should be replaced every 12,000 to 15,000 miles or per the owner’s manual. “Air filters are your vehicle’s first line of defense against contaminants that reduce cabin air quality and negatively impact engine performance,” explained Rich White, executive director of the nonprofit Car Care Council. The Car Care Council is the source of information for the “Be Car Care Aware” consumer education campaign promoting regular vehicle care, maintenance and repair.